OPTIONS COSMETICS LTD. | Fairview Shopping Center, Montego Bay, St. James A woman standing in a makeup store is concerned and appreciative of beauty. 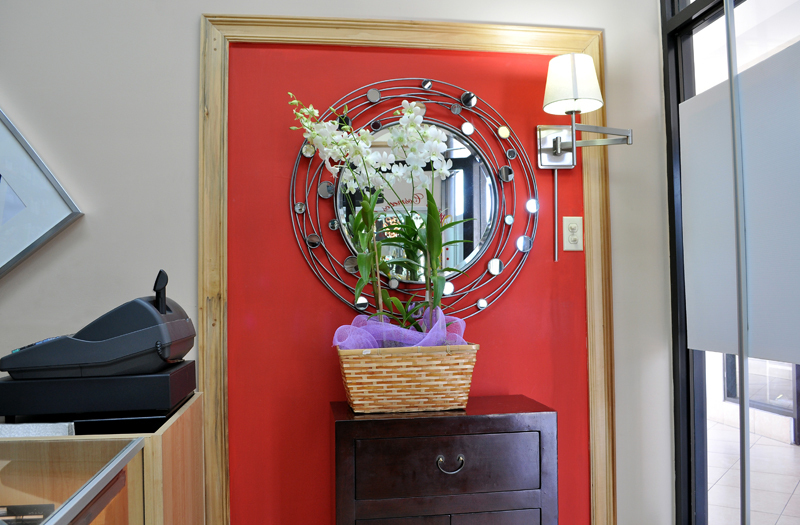 This red wall panel with its pure, delicate orchid appeals to that sense. The vibrant red in a muted environment hints at red lipstick on full lips. The fully functional console provides a reflection of beauty framed in beauty. 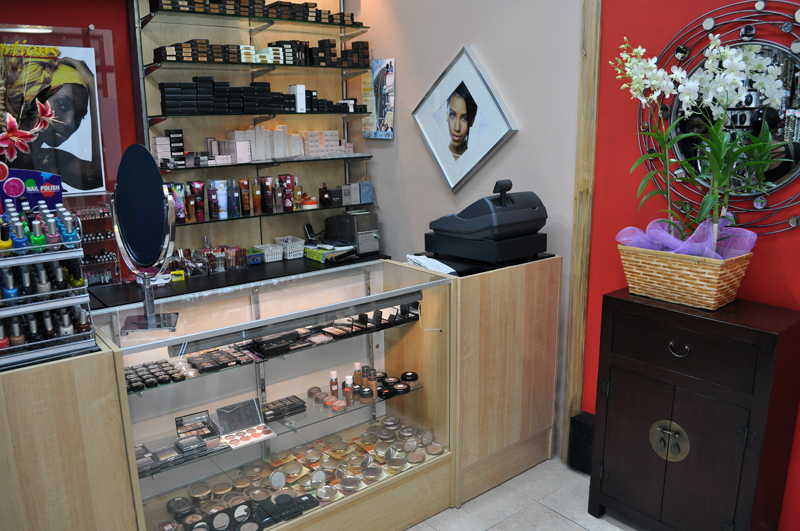 OPTIONS COSMETICS LTD. | Fairview Shopping Center, Montego Bay, St. James We started with a 110sq. ft empty rectangular space. Our aim was to create a functional makeup and accessory store. The challenge was one of space. However as you can see we create wide and varied display areas, ample storage, staff work space and customer area. 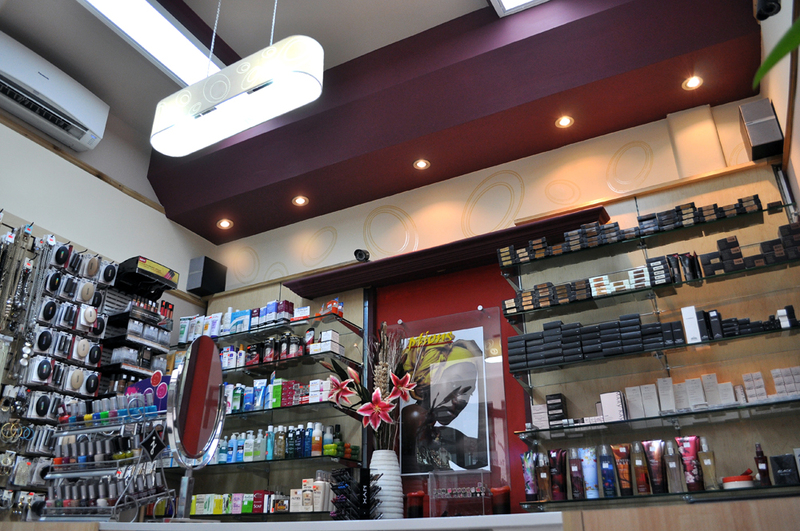 OPTIONS COSMETICS LTD. | Fairview Shopping Center, Montego Bay, St. JamesThe store’s earth–tones, from its walls to furniture are representative of the array of skin tones visiting these walls. 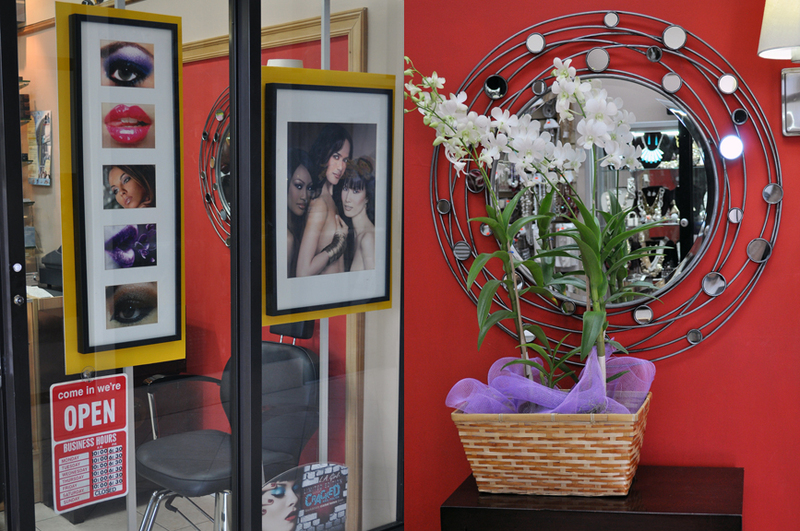 The choice of photo display places the client in the space, advertises products and whisper beauty. With the addition of soft music, fresh flowers and scented candles one can’t help but leave feeling beautiful. 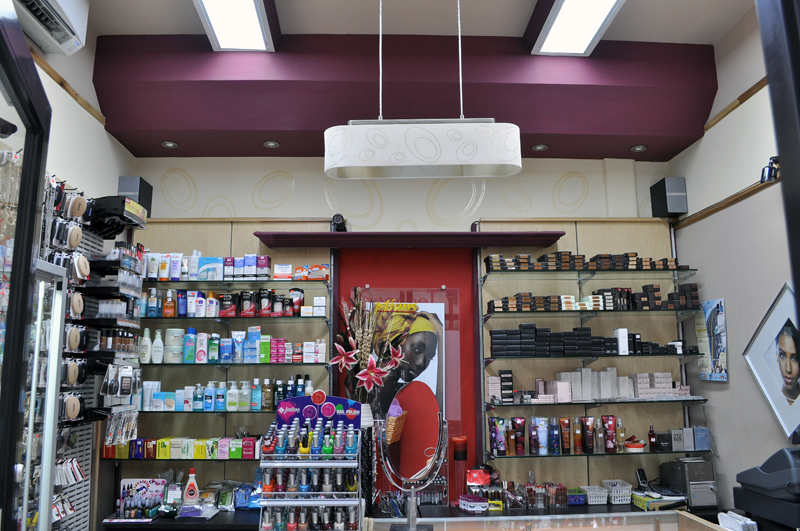 OPTIONS COSMETICS LTD. | Fairview Shopping Center, Montego Bay, St. JamesProper lighting is vitally important to a makeup store. The lighting and ceiling design were create for function, providing adequate illumination for work and product display, while being soft on the skin and allowing color to shine and blend in their true hue and intensity. OPTIONS COSMETICS LTD. | Fairview Shopping Center, Montego Bay, St. James Successful store design is about creating an experience, appealing to the senses of the consumer. Located in the Mall’s breezeway this store would be easily missed. The vibrant framed photos in the window grab the attention and the walls beyond pulls you in. Everything is more beautiful when it functions.